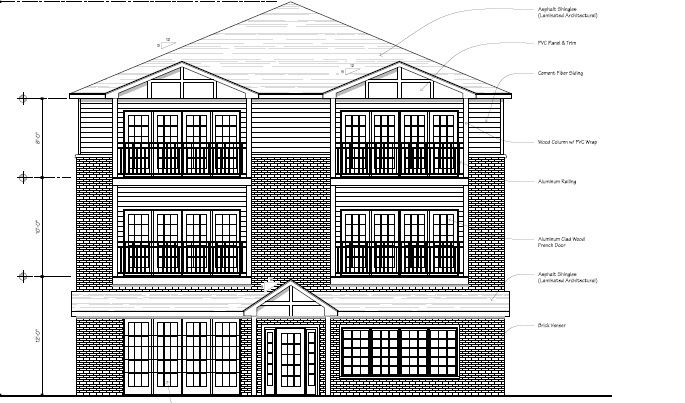 Residential activity is picking up on a stretch of West Utica Street in the Elmwood Village, as the city Planning Board reviews two new apartment and townhome projects on either side of Elmwood Avenue. Whitesand Family LP of Williamsville is proposing to demolish a vacant rooming house on a 0.16-acre lot at 297 West Utica St. and construct a nine-unit apartment building instead. The new three-story building would include nine indoor parking spaces and a small studio apartment on the first floor, with four two-bedroom apartments of 1,200 square feet in size on each of the upper two floors. The $1.25 million project already received three necessary zoning variances. If approved, construction would take nine months. Design of the nine-story building planned for 297 West Utica St. 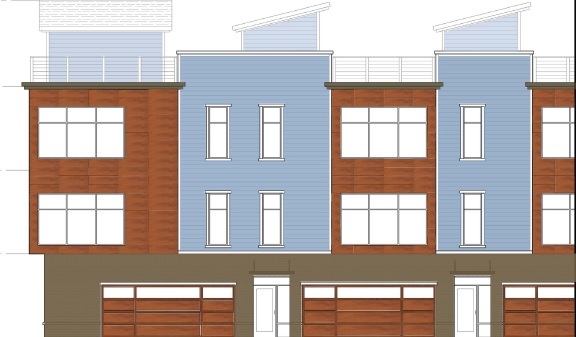 Separately, SkylineCentro Urban Development of Buffalo plans to build five three-bedroom townhouse units with attached two-car garages. The units would be housed in a three-story building at 197 W. Utica St. Each unit would have a den, kitchen, dining area, living area, two full bathrooms, two half-bathrooms and a rooftop terrace, with a shared garden or patio area. Plans by Studio T3 Engineering show the building facade would feature red brick, red laminate panels and blue Hardieboard siding. The 0.19-acre site near the Hellenic Orthodox Church of Annunciation is currently a parking lot. If approved, construction by R&P Oak Hill on the $1 million project would start in September and finish by March 2018. Both projects will be considered by the Planning Board on Monday, along with a proposed 66-space parking lot for St. Joseph's Collegiate Institute at 806 Kenmore Ave. and Rachel Heckl's planned new Benjamin Art Gallery in a vacant garage at 467 Richmond Ave., with residential space above.